Look no further. 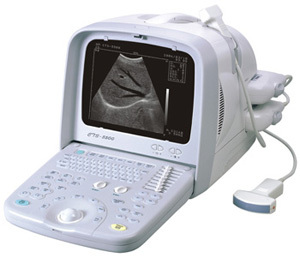 We have the portable ultrasound you're looking for. From general abdominal ultrasound to OBGYN ultrasound; from podiatic ultrasound to equine ultrasound; from spinal ultrasound to breast ultrasound; from vascular line placement to urological exams -- we have a solution. And very likely a customized solution for your primary application. Give us a call to discuss your specific needs, or feel free to fill out our inquiry form and help us understand a little more of what you are looking for in an ultrasound system. You should have a reply from us very quickly - generally within an hour or so. Otherwise, please submit the following form so we can assist you in finding the right ultrasound at the right price!